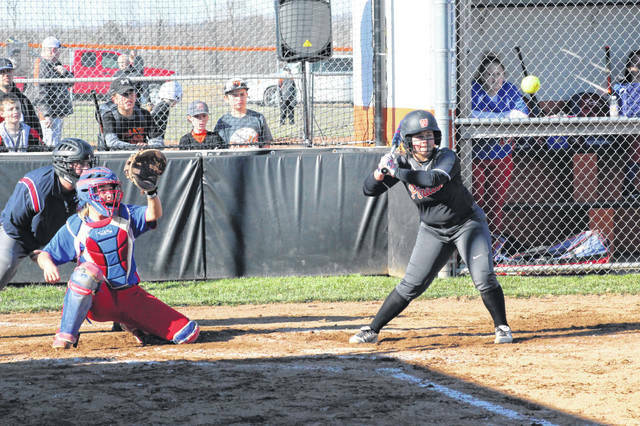 WHEELERSBURG – If there’s a better way to start your season than how the Wheelersburg Pirates did Tuesday afternoon in a 12-0 win over Northwest is six innings, it’s unclear exactly what that way is. If one things for certain, the cool weather didn’t slow down the Pirates at the plate at all, particularly sophomore Rylie Hughes. In her first game in the Pirate uniform after playing her freshman season at Oak Hill, the talented sophomore excelled at the plate to the tune of going 2/3 at the plate with one walk, two home runs (one in the second and one in the sixth), one of which was a grand slam, three runs scored, and a season high for the county in 2019 in eight RBI. Hughes wasn’t the only Pirate who excelled in their shutout victory Tuesday evening, however. Ace pitcher Sarah Claxon pitched all six innings Tuesday while allowing four hits and striking out nines batter while walking just one batter. In addition to her excellent outing on the mound, Claxon finished 1/3 at the plate, her lone hit being a double that drove in a runner for one of four RBI not hit by someone named Rylie Hughes. The other three came from catcher Addi Collins who finished with 3 RBI herself in the Pirates season opening win. 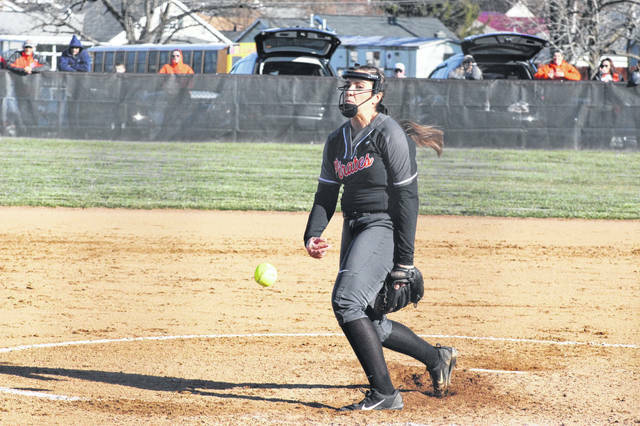 Once starter Haidyn Wamsley exited the game for Northwest following two innings of work, Lexi Throckmorton gave three strong, scorless innings of relief in innings three through five before giving up the grand slam to Hughes in the bottom of the sixth. Moving forward, Ruby hopes her team continues to keep their sights set on taking each game one at a time as they progress towards their hopeful goals in May. The Pirates will travel to McDermott to face Northwest again on Wednesday before travelling to West Virginia this weekend to play in the Cabell Midland Tournament held in Ona. Northwest will face South Webster at home next Monday following their game with the Pirates at home Wednesday.